Hey baby, let’s get personal. Settle down! I'm just talking about with our marketing! One of the most lovable things about inbound marketing is how easy it is for marketers to target communications. Traditional marketing tactics can sometimes target a particular age group or income level, but it’s nearly impossible to reach out to customers on an individual level. Then, along came inbound. Cue fireworks. 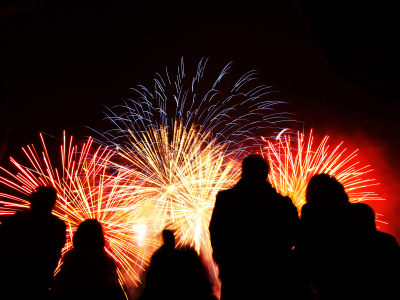 Meticulously segmented fireworks. Now, all we need to segment our marketing efforts is a CRM system, some time, and a few tips on where to start. Think about all of the avenues you use in your marketing and ask yourself: Am I catering to my target audience across all channels? If you know your buyer persona like your best friend -- which you should -- then it won't be hard to use these tips to personalize content for them. So check out these 10 opportunities to reach your target audience in an easier and more lovable way across email, social media, paid marketing, and on your website. That's right, there's opportunities for better targeted, more personalized content across all those channels. Let's get started on our way to better targeted marketing! Email marketing is the number one spam offender in recipients' inboxes. But with the right segmentation and a little love, email can be totally lovable and still effective at nurturing leads and closing deals. Consider that 39% of marketers who segment their email lists experienced higher open rates, according to Lyris Annual Email Optimizer Report. Since personalizing emails to read 'Hi Hannah' instead of 'Dear Valued Customer' should be a standard practice by now (we hope! ), let's delve into some more specific ways you could better target and personalize your email marketing. Marketers sometimes get a bad rap for using customer data. We're the big bad wolves of privacy. But consider this -- 42% of people said they would value a retailer or brand more if it remembered their buying and browsing behavior from where they have shopped before, according to Axicom. Additionally, 50% think retailers should offer them promotions based on their past purchase behavior. Customers want us to use big data, as long as we use it in a way that actually offers them some value. If a segment of your contact list has used your service or purchased from you before, use that data to personalize their emails. 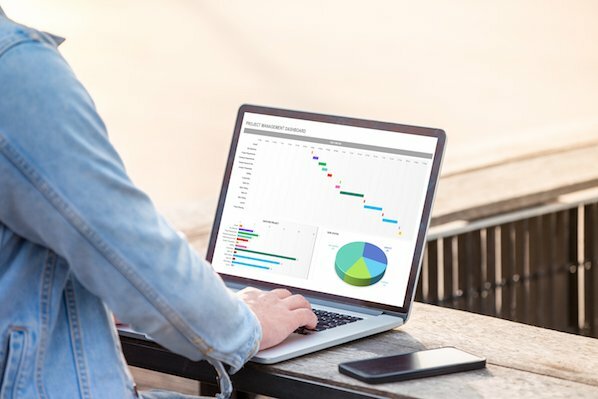 The right marketing automation software can make it easy to set up workflows based on customer data. Amazon, for example, does a great job of making product suggestions to customers based on their preferences, as well as what other people who have bought the same product viewed. 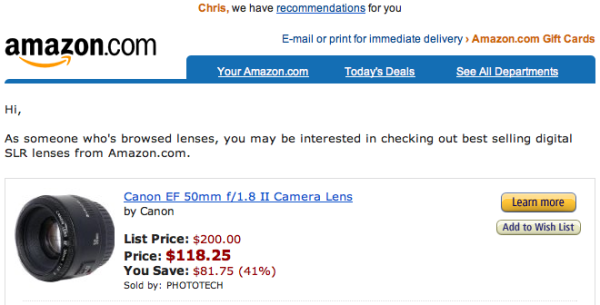 The screenshot below is an example of an email from Amazon prompting a customer who has purchased camera equipment before to check out best-selling lenses they have available. Past purchase data gives you the opportunity to present customers with deals and products before they have to look for them -- it makes shopping with you effortless. The Rolling Stones weren't always right. We can get a gauge on customer satisfaction, and use that knowledge to better target our email marketing. Think about it. If you have a group of die-hard customers in love with your company, you can encourage them to be brand ambassadors. Or, if customers are dissatisfied with your services, you can pinpoint why and surface some content to start repairing the relationship. How can we determine who's happy and who's not? Lots of businesses, including HubSpot, use a metric called Net Promoter Score (NPS) to evaluate customer satisfaction level by surveying customers on how likely they are to refer your company to others. Once you've gathered this data, segment your email list based on satisfaction level. Contacts who scored between 0 and 6 are considered "Detractors," and should be considered the folks who could be a whole lot happier with your company. 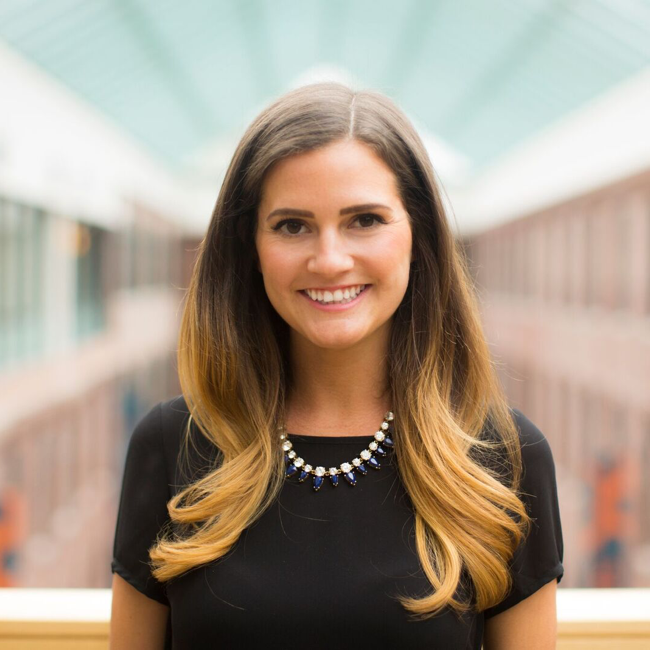 Create a nurturing campaign for this segment with content that sets them back on the right track -- tools, educational materials, or offers for some more personalized service that will help address the issues that are landing them in that detractor camp. On the other side of the spectrum, customers with a score between 9 and 10 are your "Promoters." These people love your company! Send Promoters emails encouraging them to refer a friend or write a review, like this gorgeous example from ModCloth. It's important to not just think of your contacts' stage in the buying cycle; I may have purchased from you, but it's possible that I'm disappointed in your customer service or product quality. Knowing my satisfaction level can help you cater marketing communications to my sentiment. You know when you're craving a piece of chocolate but you stay strong and say no? You're pleased with your willpower ... until you're reminded of it later when you see a Lindt commercial. Suddenly, you have to have it more than ever. Regardless of why a contact abadoned shopping cart items online, they can be swayed by a simple email reminding them of the chocolate, ehm ... I mean product, they left behind. If a contact added an item to their shopping cart, whether they purchased it or not, they want it. All they need is a little push. According to SeeWhy, 48% of online shoppers who abandoned a purchase more than once in the past month will buy when remarketed to. Ecommerce marketing automation platforms make it easy for you to remarket abandoned products to contacts. If you're feeling generous, you can give recipients an incentive to make the purchase, like this tempting email from ProFlowers. Not an ecommerce marketer? Not a problem. You can also send contacts form abandonment emails. If leads start filling out forms on your site but don't complete it, you can segment out those contacts to remind them of the value of the offer they were signing in the process of signing up for. It's important to spend time optimizing your social media marketing efforts. Don't believe me? Consider this: Customers who engage with companies over social media spend about 30% more money with those companies than customers who don't, according to Bain & Company. The same study shows that they also demonstrate a deeper emotional connection to companies, giving them an average 33 points higher NPS. But it's one thing to create a Twitter, Facebook, LinkedIn, and Google+ account -- it's another, more lovable thing to cater your social media content to the right people. We stumbled upon a pretty cool little factoid about a year ago -- that LinkedIn is 277% more effective than other social networks in generating leads. Jaw, meet floor. So, if you haven't been playing around with LinkedIn to boost your marketing reach and juice your lead generation, now's the time to start. 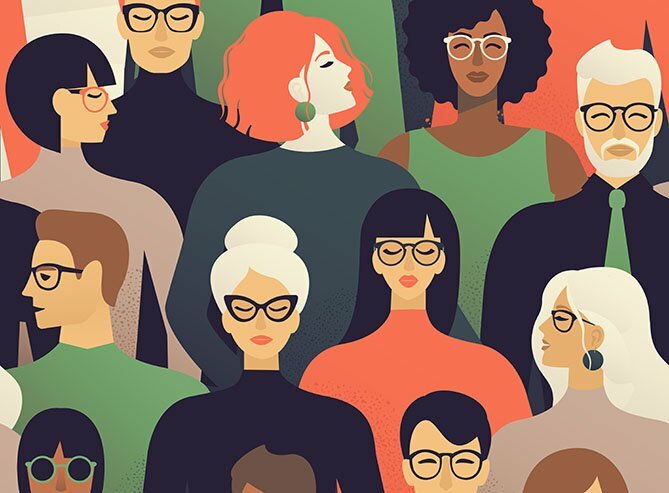 Segmentation doesn't just mean putting the contacts you have into categories -- it's also segmenting your channels, platforms, and content to reach potential contacts. 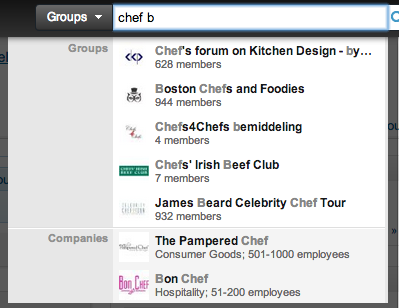 By leveraging the right LinkedIn Groups related to your industry, you can tap into a community that is already predisposed to being interested in your business or line of work. Say you own a culinary school in Boston and want to attract more students, for example. 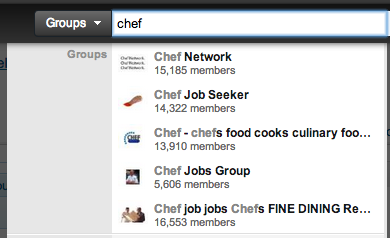 You could join Chef Network (see below) with 15,000+ members for maximum reach. However, you should also get more specific in order to reach the most qualified leads by joining Boston Chefs and Foodies, which narrows the noise down to about 900 members, all in your market. Once you've scoped out the best fit groups for your business, start engaging with the community and position yourself as a thought leader. That doesn't happen by constantly posting your own content to the feed. Build authority by answering people's questions, sharing helpful content regardless of the source, and asking your own questions to get feedback from a trusted community. You can get more out of your Facebook business page by targeting posts tailored to the different types of people in your audience. Say your business sells deodorant. 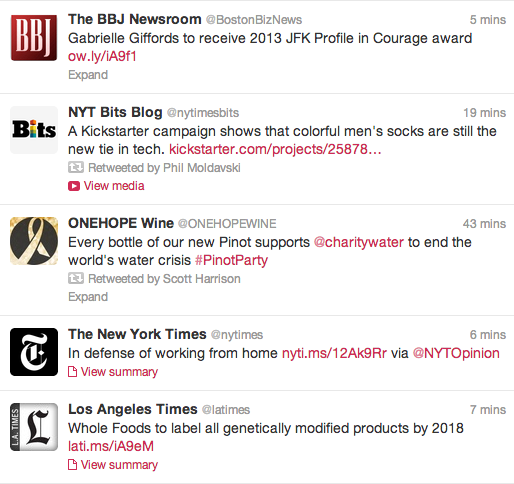 You have a women's product line and a men's product line, but it's easiest to have one unified social media presence. If you're running a special on a new product for the women's line, you can avoid oversaturating your male followers with messaging by posting targeted Facebook statuses. 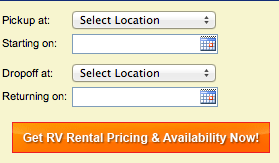 All you have to do is write a post in the standard field and then click on the location symbol. 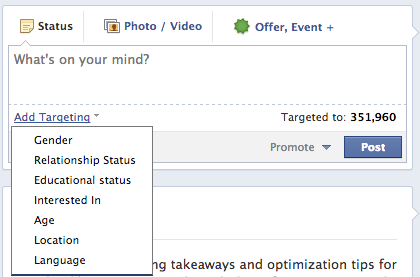 You will then see the option to "Add Targeting." Click this text and a dropdown will offer different characteristics by which to target. In this case, I'd choose "Gender" and then "Women" to share information about my special female deodorant offer. This basic, easy step is often overlooked because as brands we want to broadcast our messaging to as many people as possible. That's great sometimes, when the message is more universally applicable, but this little trick is handy to have in your backpocket so you don't risk annoying the living daylights out of your followers. It's hard to believe there was a time when hashtags were only found on Twitter. Now, we see hashtags on Facebook, in texts, on Instagram, on Pinterest, etc. It's become a funny cultural trend, but it's important not to forget their original purpose and how valuable hashtagging can be for better targeted social media marketing. Using hashtags increases the chances of your tweet getting found in a targeted search, by the target audience you're hoping to reach. If someone searched for #WFH on Twitter, for example, they would be presented with a slew of tweets related to the topic ... but the New York Times article would not be one of them. Hashtags make it easier to get found and engage in conversation taking place on social media with your current audience, and those who fall within your target demographic. You're probably already using Facebook's Power Editor to create targeted PPC ads. If not, check out these tips on setting it up so you can do more granular targeting with Custom Audiences. With this feature, you can create an audience based on information you've gathered outside of Facebook such as email addresses, phone numbers, or their UID. If you have a group of prospects who visit your website frequently and you're hoping to convert them into a lead, you can upload their email addresses as a CSV file and add these contacts to the Power Editor to create targeted ads. The Custom Audience feature is a hidden gem because it gives you the opportunity to get seen by website visitors who are not yet fans of your business on Facebook. You can learn more about exactly how to utilize Custom Audiences in this blog post, "How to use Facebook's 'Custom Audiences' Feature for More Strategic Ad Targeting." It's important to remember that PPC advertising is a complement to your inbound efforts, not a stand-alone tactic. Marketers pay for PPC ads because they want someone to click on them ... but that's only half the battle. 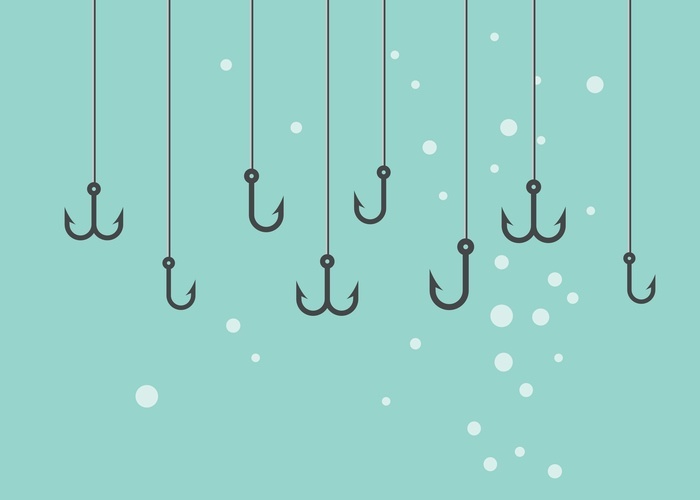 Once a lead clicks on the ad, it should take them to a page that holds their interest through extremely targeted content. By creating content- and offer-specific PPC ads, you can not only collect data on what your leads are interested in, but you can please them by giving them what they asked for with a targeted landing page, not a generic one repurposed across dozens of other PPC ads. 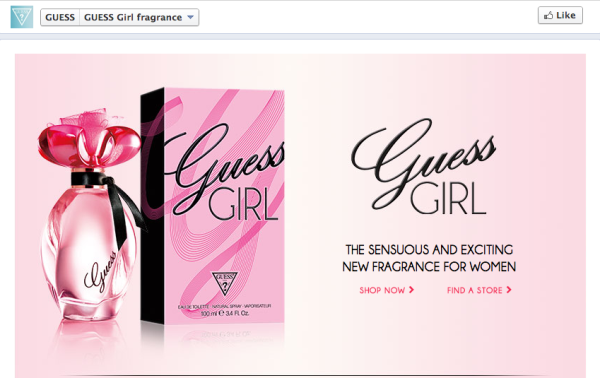 Look at the Guess ad from my Facebook homepage below, for instance. The ad promotes a specific product. When I click on it, I am directed to a page all about that specific product -- not some other fragrance. The language and graphics also create a connection from the ad to the subsequent page by being consistent in design and copy. Now that makes sense, right? If it seems obvious, good for you, you're creating targeted landing pages that align with the targeting you've set up in your PPC campaigns. But if it sounds unfamiliar, go back and check that your ads aren't directing visitors to a generic page ... like (gasp!) your homepage! Visitors won't take the time to navigate toward content themselves. It's oh so sad, but oh so true. When I'm browsing a website, I get frustrated when a page has no clear next step. Usually, when that happens, my next step is my browser's back button. I may love the website's design and pretty pictures, but if I have to think about what to click next, I'll get impatient and peace out. But how do you ensure the site content you're displaying is aligned with what the visitor is interested in? You have some great targeting opportunities at your disposal. Get the most out of your CTAs by showing the offers most aligned with the visitor currently on your site. Boom. Simple. Well actually ... yeah, it is pretty simple! This is where dynamic calls-to-action, also called Smart CTAs, come into play. Long story short, these puppies can be customized to show an offer that aligns with a visitor's stage in the sales cycle, or any other behavior they've exhibited, for a more personalized conversion experience. For example, if you run a marketing agency and someone comes to your website to read a 200-word tip about how to find good long tail keyword phrases ... they're probably not ready to convert on a free 90-minute consultation. That's kind of like asking someone to marry you on the first date. But you know what they might be ready for? To download an ebook about keyword research, perhaps. Now, the reason dynamic CTAs are so amazing is that you don't have to choose your 90-minute consultation CTA over your keyword research CTA; you can have both. How, you ask? Because smart CTAs remember who your site visitors are, and show the CTA that is most appropriate based on criteria you pre-set. Talk about a personalized, targeted conversion experience! We shouldn't judge books by their cover, but let's be honest, we'd rather see what's inside a pretty looking book than a plain looking book. Think of your CTAs as books for a moment. Visitors on your website are more likely to click on a CTA that appeals to them visually than one that doesn't. The second version saw a 91.4% increase in form fills from the original version, according to a case study from Wider Funnel. Whether it was the orange or the specific language that appealed to visitors, this CTA has generated 106% more online bookings with the same amount of traffic. This is a great example of why you should be carefully formatting and testing your CTAs. You never know what your audience will prefer, or respond to. And the best part? If your audience is split on what they prefer -- perhaps because you cater to several different buyer personas -- you can still please everyone by using smart images. That's right, just like smart CTAs, you can adjust the images that appear on your site based on information in a contact's profile, or where they are in the sales cycle. Ready to get personal? Use these opportunities to show your customers that you care about their experience and their needs. Not only will they feel loved, but you will increase your chances of conversion by matching the right people to the right content at the right time. Nothing wrong with that. What other opportunities for more targeted, personalized marketing are there? Share your ideas with us in the comments!